For a nation well known for its luxurious pomp, the Emiratis’ red-carpet welcome was heart whelming for the first pontiff, Pope Francis. 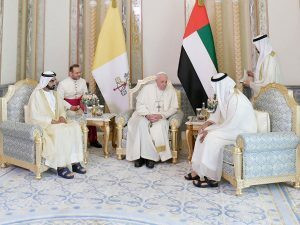 On his historic trip, Pope Francis got a royal welcome from the UAE leaders; Sheikh Mohamed bin Zayed, the Crown Prince of Abu Dhabi and Deputy Supreme Commander of the Armed Forces. Horse-mounted guards escorted the pontiff’s motorcade through the palace gardens. 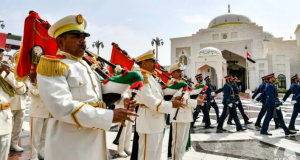 On arriving at the splendid presidential palace, the first Pontiff was greeted with a flyover by UAE air force jets painting the Vatican flag in the clouds to celebrate the visit. He was honoured with a 21-gun salute while the anthems of The Vatican and the United Arab Emirates played. 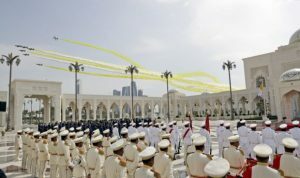 The Pope stood humbly between Abu Dhabi’s powerful crown prince, Sheikh Mohammed bin Zayed Al Nahyan, and the Emirati vice president and prime minister, Sheikh Mohammed bin Rashid Al Maktoum, as the Vatican and Emirati anthems played and delegations were introduced in the courtyard of the domed palace. Pope Francis signed the Book of Honor at the presidential palace in Abu Dhabi. 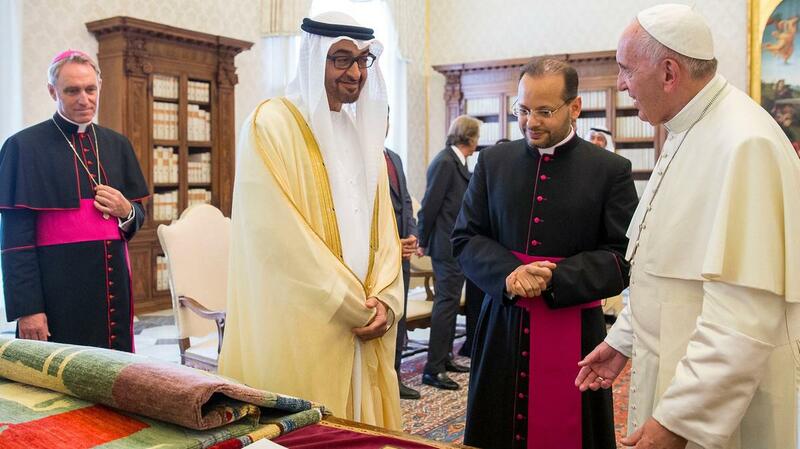 He wrote in his characteristic tiny script, in English, of his “gratitude for your warm welcome and hospitality.” In a message to the Prince, Francis assured the people of the UAE of his prayers and the divine blessings of peace and fraternal solidarity. 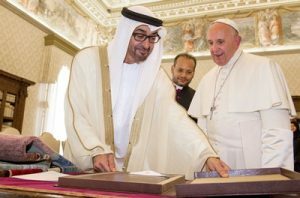 The Prince, for his part, gave Francis a framed notarized decree from June 22, 1963, in which the then-ruler of Abu Dhabi donated the land for the construction of the first Catholic church in the Emirates.